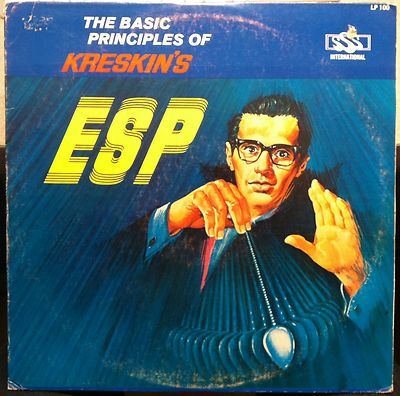 Finally, a light at the end of the “fiscal cliff” tunnel: The Amazing Kreskin is here to help. Kreskin, billed by his publicist as the world’s most renowned mentalist, was a fixture on “The Tonight Show Starring Johnny Carson” in the 1970s. Now 77, he says he can break the stalemate over taxes and spending that has gripped Washington for much of the past two years. All it would take is an hour in a room with President Obama and House Speaker John A. Boehner (R-Ohio) or their proxies. “If I can, through mental suggestion and mental conditioning, bring both to a state of mind where I’ve lifted all the pressure, all the threats, all the money being offered and all the fears of the next election, I can bring them together to their unconscious level, and they will start to think in terms of compromising,” Kreskin said in an interview. Kreskin made the offer via news release Thursday to fly to Washington and help with the cliff after observing what he described as a mounting crisis in government. “They don’t call you the Amazing Kreskin for nothing, do they?” Huckabee marveled. Now Kreskin says he can look deep into the minds of Washington politicians and “envision” the “pathway” to a mutually acceptable compromise that he believes is buried there. Yes, he said, “partly I will” read their minds. But Kreskin said his gig in Washington would not be a typical performance. Kreskin says he has no “clinical bias” in this case. He says he is neither liberal nor conservative, and that he doesn’t much care whether taxes go up or spending goes down, or how Washington solves this problem. But the problem, he says, has got to be solved. The Amazing Kreskin (born January 12, 1935), born George Joseph Kresge, is a mentalist who became popular on North American television in the 1970s. He was inspired to become a mentalist by Lee Falk's famous comic strip Mandrake the Magician, which features a crime-fighting stage magician.